Here at Clementine, we've loved Rachel Riley for a long time. Ever since little Prince George was seen wearing one of her outfits, though, we've been full on squealing every time a new piece comes in. Not familiar with the brand? Rachel Riley is a luxory brand for children with inspirations from classic 40s, 50s, and 60s apparel. Check her out! 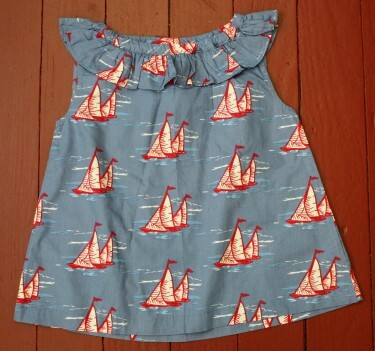 Red halter dress with sailor themed print.